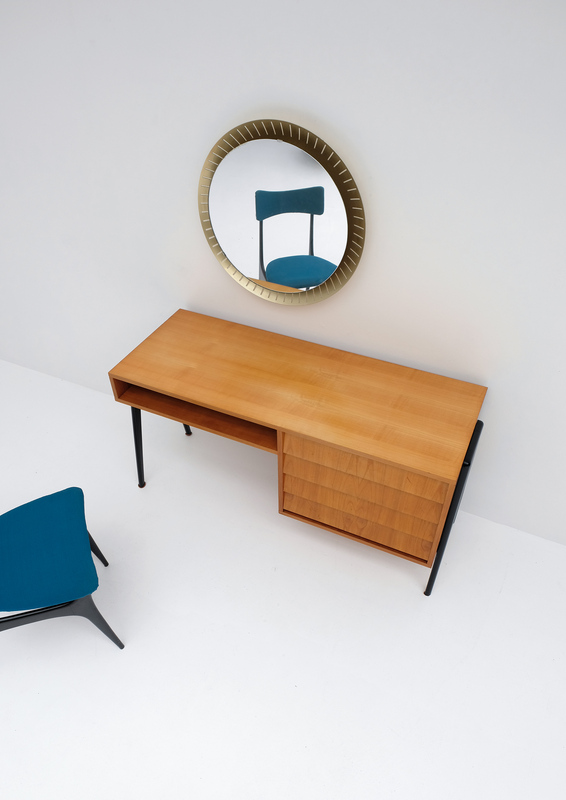 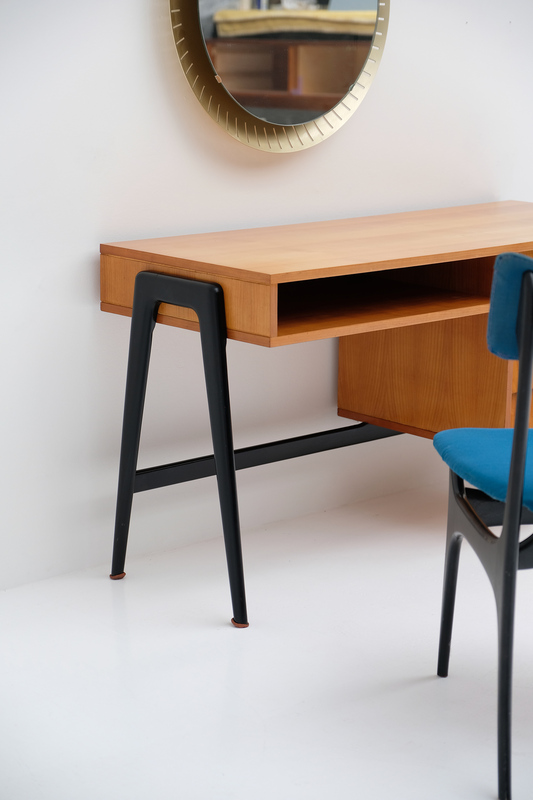 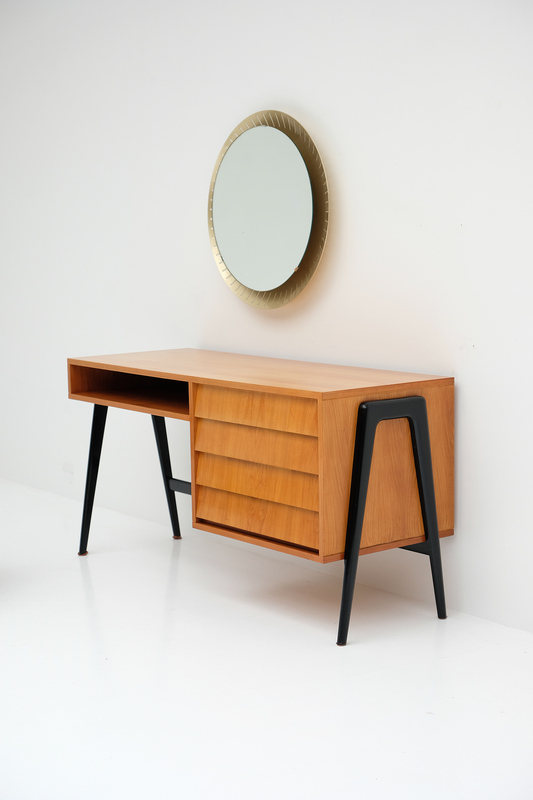 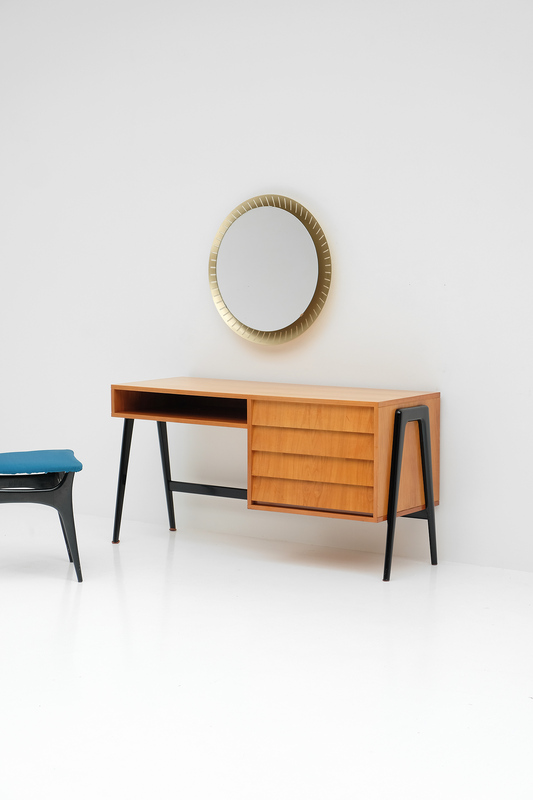 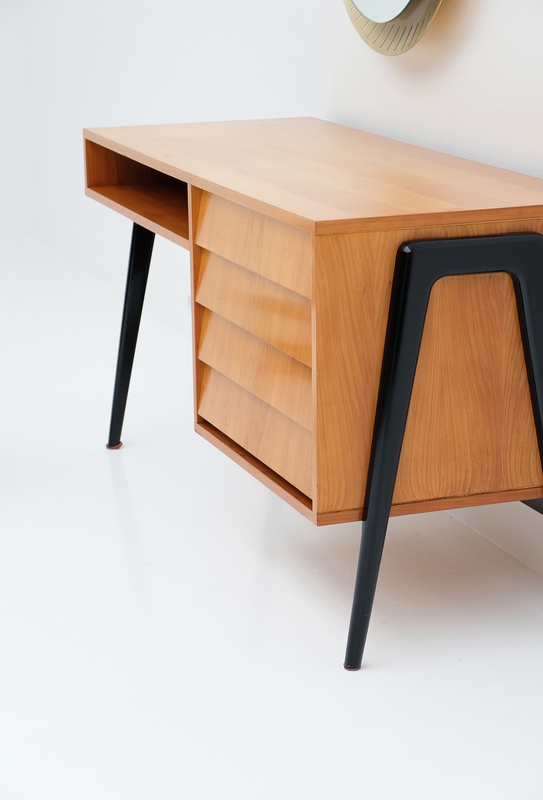 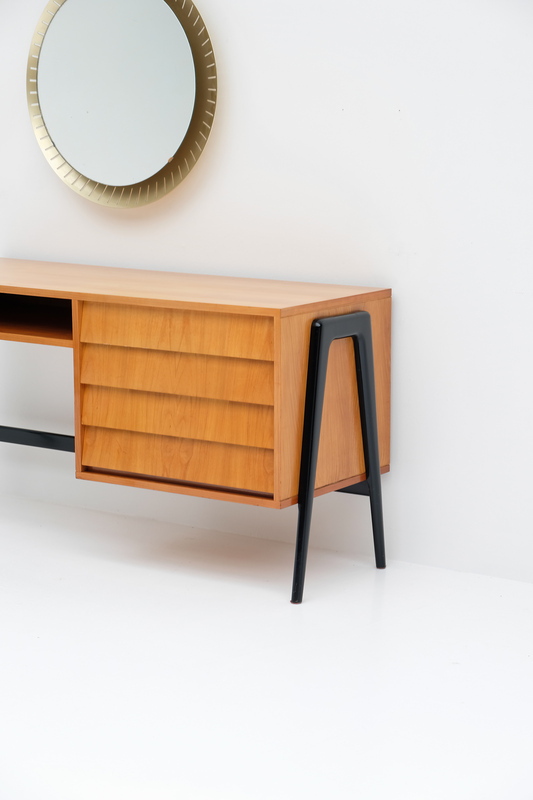 This hard to find Alfred Hendrickx vanity desk designed for belform in the 50s. 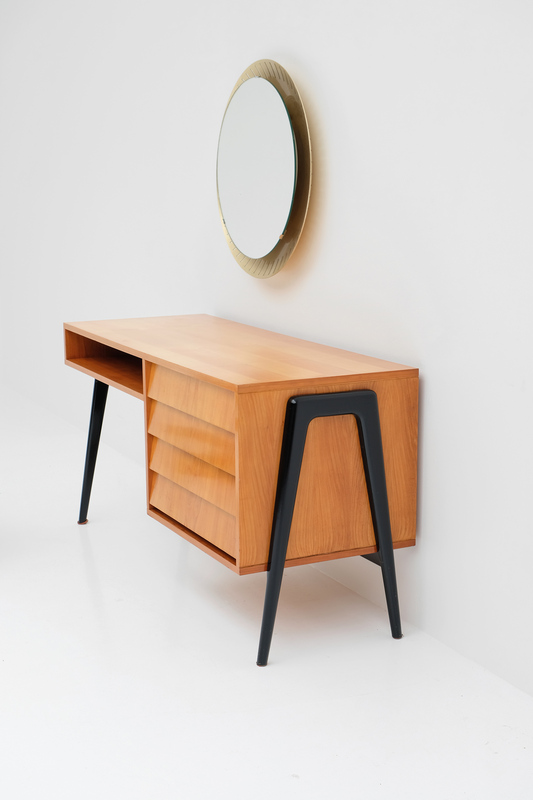 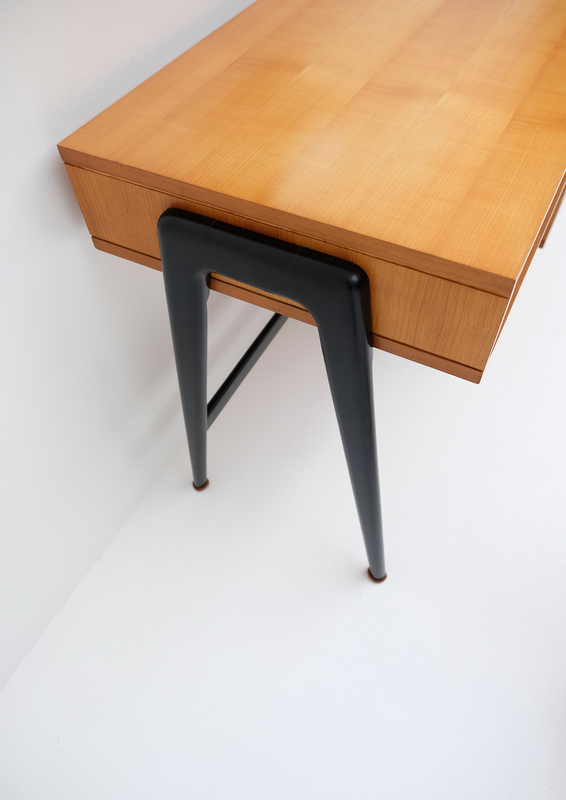 The honeycolored desk has been made of an ash veneer wood and elegant black lacquered feet. 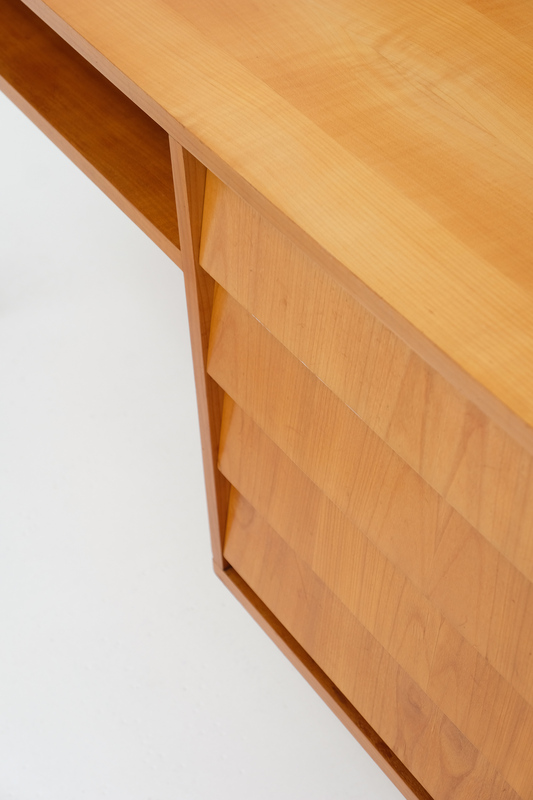 It contains plenty of storage space due its four drawers and an open storage space. 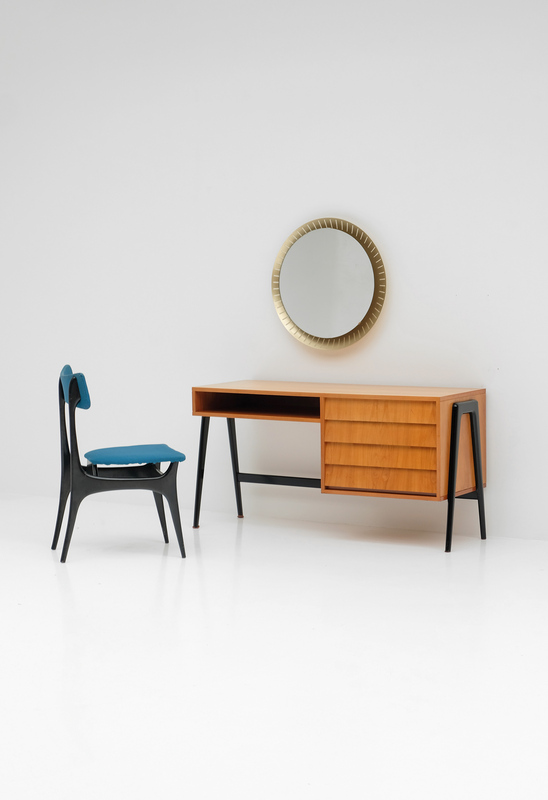 The vanity desk can be bought together with a matching chair, designed by Alfred Hendrix at the same time period.